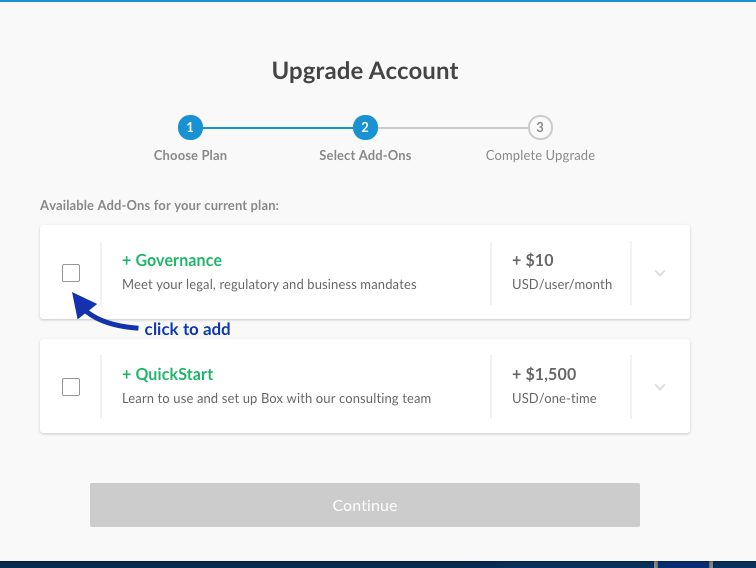 As an admin, you can now purchase additional products (i.e., Governance, Quickstart) from your Admin Console. First, log into Box and navigate to your Admin Console. Head over to the Enterprise Settings tab and look under the Account Information section. There you should find a button marked Add-on Products. You will arrive on the Add-ons page where you'll be able to select and add eligible products, then click continue. Once you have selected the add-ons you'd like to purchase, finish your purchase by confirming payment with your existing payment method or update with a new payment method. 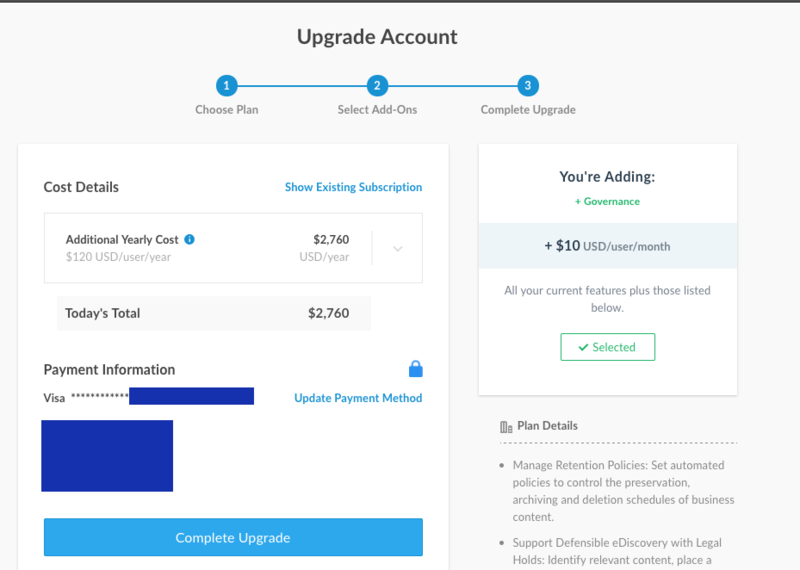 Click "Complete Upgrade" to finish your purchase.